Behavioural Therapy is an approach that is used to increase or decrease specific behaviours that improve an individual’s quality of life and functional skill set. 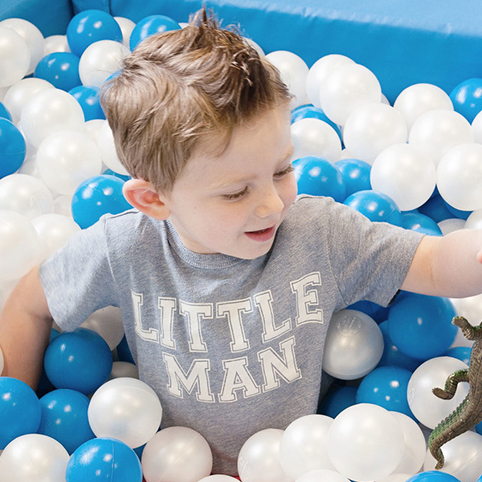 Our therapy is designed to promote functional behaviours that will make a positive impact on an individual’s social skills, language and communication, decision-making, focus, self-expression, memory, early academics and tolerance of everyday experiences. Positive approaches and techniques are also used to decrease any behaviours that are limiting an individual’s ability to access to functional activities. 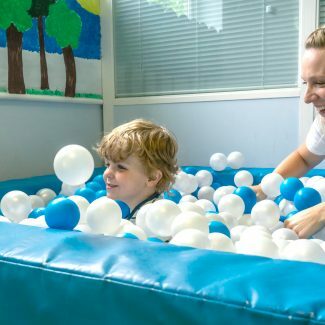 The behaviour therapists are able to teach our children vital play skills and empower them with the ability to functionally communicate with their family and peers. 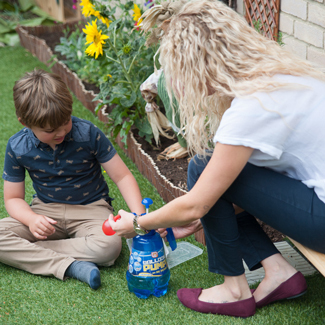 We work on our children’s tolerance to everyday functional activities that they may find challenging and can reduce any behaviours that act as a barrier to a child’s development and emotional well-being. 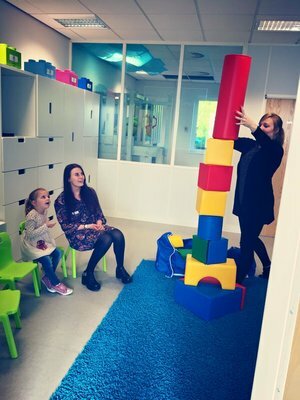 The Ark Centre’s team of Behaviour Therapists will conduct a baseline assessment on every child within their first few weeks at the centre. Our assessment will provide us with detailed information on your child’s barriers to learning, communication skills and behavioural issues. This information is used to formulate an individualised therapy programme with goals and targets for your child. Each child will also receive a ‘one plan’ which will provide 12-week targets that are designed and reviewed with parent input at termly meetings. Our team are able to provide parent support and training on your child’s programme within the centre and any challenges that may arise at home. This promotes a focused approach to the therapy ensuring consistency amongst different settings. We also invite professionals working with our children to review meetings which ensures all information is openly shared with parents and any other relevant agencies involved in the child’s wellbeing. Additional support can also be sought to provide training for your child’s other settings if required. Our team are currently all undergoing their Registered Behaviour Technician (RBT) training qualification. The training and application of ABA techniques within our programmes are overseen by our Senior Behaviour team and the BCBA (Behaviour Certified Behaviour Analyst). These interventions are used in conjunction with other techniques within our programmes but can be applied to a variety of situations to produce positive results and improvements in a child’s behaviour. ABA is widely used and is evidence-based, meaning it has passed scientific tests which determine its usefulness, quality and effectiveness as an approach. Our Senior Behaviour Therapists have received training in the Attention Autism programme directly from its founder Gina Davies. 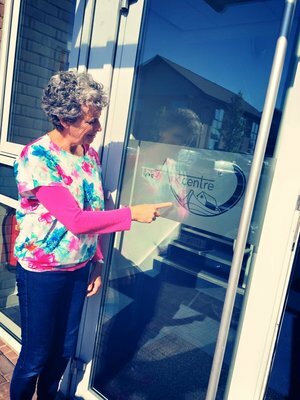 The Gina Davies Autism Centre provides support and services to families, carers and professionals. 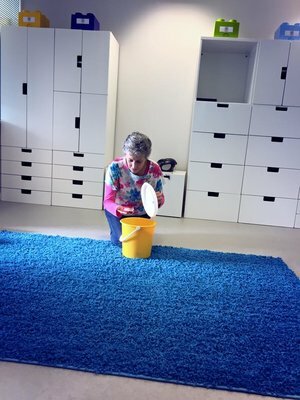 Our team use the ‘Bucket’ programme to develop attention, group and interaction skills within our children, and work on their ability to undertake independent tasks. Intensive Interactive is an approach which develops the pre-speech fundamentals of communication through relaxed interaction sequences and can be particularly effective for individuals with severe learning difficulties and/or autism. This technique aims to promote social interaction and open up the world of the child and bring the adult in. Our Behaviour Therapists have received first-hand Intensive Interaction training. If you would like more information about interventions and techniques our Behaviour Therapists use, don’t hesitate to contact us. “Where do you go? Who can you turn to? Who can you talk to when your child has been given a diagnosis of ASD? After scouring the internet I came across The Ark. The Ark has not only saved my sanity at a time of deep upset, but has provided my son with a group of highly trained professionals; who, through their dedication and hard work are teaching my son to blossom. In just eight months my son has gone from a very timid, upset, non-verbal boy (in social situations) to a gregarious, confident boy, who is enjoying making sounds, forming words, mixing with others and playing well. He is being taught how to behave in every day situations, this can be as simple as sitting at a table. He didn’t do it before, and now he does.